Loafer is about Raja (Varuntej) and his parents. His father (Posani Krishna Murali) gets separated from his mother (Revathi) challenging her that Raja will become a Loafer like him. Raja follows the footsteps of his father and ends up in Jodhpur hunting for money sources. He falls in love with Mouni (Disha Patani) who comes with a problem to Jodhpur. At this point of time, Raja happens to meet his mother in an unexpected situation which brings a bad impact about him. The rest of the movie is how he convinces his mother and changes him and wins his love with Mouni solving her problems. Watch the movie to known what happened completely. The first half of Loafer has ups and downs throughout the movie. The comedy episodes between the father and son have been projected well throughout the first half. The songs have been placed well but they have not been shot decent. The cinematography has been the major highlight and the interval episode elevates the film well. On the whole the complete first half has been just ok. The second half of Loafer is completely different and it lacked everything. The basic plot has been sidelined and every scene has been completely predictable. The emotional episodes have been decent in the movie and the songs have been misplaced. The climax and the action episodes have been completely faked out. On the whole the second half of Loafer is responsible for the movie’s debacle. 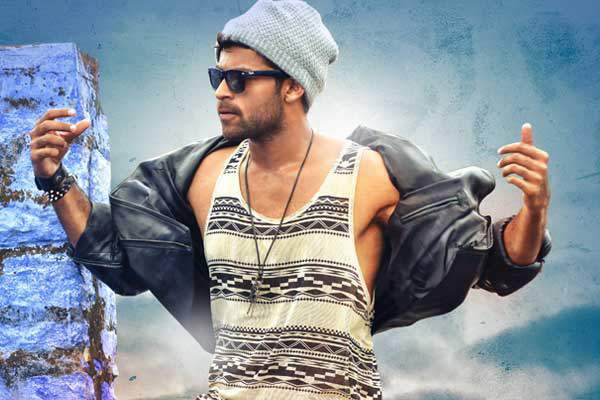 Varuntej has done a challenging role in the movie and he has been decent in the mass avatar. He has been decent with his dialogues and need to improve a lot. Disha Patani has been impressive with her presence and performance in the movie. She has been excellent with her dance movements. Revathi killed with her emotional touch and Krishna Murali has been outstanding as Loafer. All the other actors have been perfect and suitable with their roles. The story of the movie has been simple and completely predictable. The screenplay and the dialogues have been below the line and they have not been taken enough care. The music and the cinematography have been good and decent. The production values have been rich and grand. The movie has been shot in Jodhpur which had scenic locales. Puri Jagannadh failed completely in presenting Loafer in the right way as he lacked proper script. Loafer is completely a downfall because it lacks proper script and gripping narration. Though Varuntej and Disha Patani have been decent, they alone cannot save the movie’s debacle.